12 Sep: Welcome to the new deSagaz website! 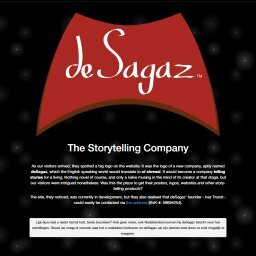 The time is here to finally bid farewell to the vintage website that we used to call deSagaz.com, and to meet its brand new successor! Welcome to the new deSagaz website! deSagaz is a media production company with a focus on multimedia and storytelling. It has been going strong since January 2014.